Transportation structures where they first encountered one of the points of access to the city and, therefore, should carry symbolic value as well as functionality, should be original and catchy . 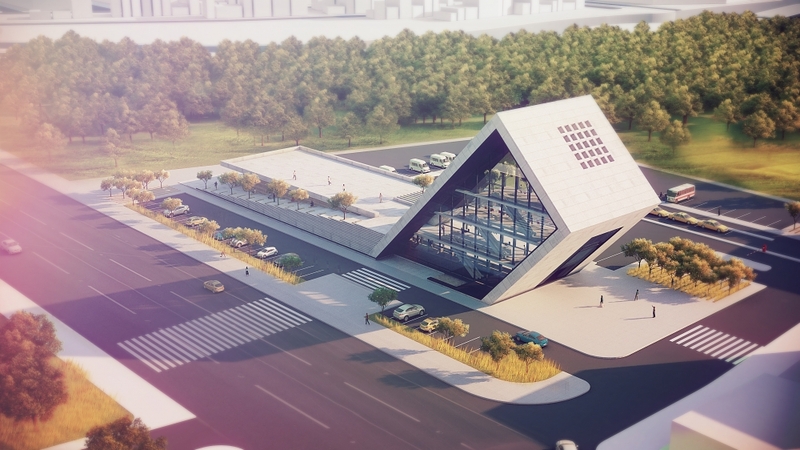 Lüleburgaz Municipality project area within the context of competition for Intercity Bus Terminal is located on the highway at the point where the existing intercity bus terminal is located .The main aim is to provide a symbolic intercity terminal complex . Terminal complex which is positioned in a linear manner in the east-west axis allows you to be perceived as a symbolic structure for the city. A terminal having a common denominator in more than one type of use / uses are : intercity bus, waiting passengers, providing urban transport taxis and minibuses , vehicles waiting in the parking lot. Terminal building is positioned in east-west axis to divide the are into two as north and South. While northern part is designed for private cars and public transportation, southern part is designed for intercity busses.